2018 saw many great voice acting performances and the “I Am Groot” Award recognizes not only the great voice-over acting, but also the best of the motion capture world, which has become an even more prevalent storytelling technique. This is the third year for this award, and we threw in an honorary winner in year one (Robin Williams as the Genie). #4. Holly Hunter (The Incredibles 2). Holly Hunter is the hero in the Incredibles 2 that takes that step to the front and she knocks it out of the park. #3. Sarah Silverman (Ralph Breaks the Internet). As Vanellope von Schweetz, Sarah Silverman dominated that movie. She is the heart of the Ralph movies and brings the emotion to the animated movie. #2. The cast of Spider-Man: Into the Spider-verse. Could not choose one from this group. Shamiek Moore, Nicolas Cage, Jake Johnson, Lily Tomlin, Hailee Steinfeld, Liev Schreiber, John Mulaney, Mahershala Ali, Chris Pine, Kathryn Hahn. So many great performances that I just felt like it was a disservice to narrow it down to one or two. And the “I Am Groot” Voice Acting Award goes to…. About half way through Avengers: Infinity War I stopped and thought to myself that Thanos was CGI. I couldn’t believe that I never even thought it once until that point. It is such an amazing mo-cap performance from Josh Brolin, and he adds a perfect voice to display the emotion and the pain shown by the Mad Titan. The Villain of the Year gains his second year end honor. #5. Smallfoot. A surprise film this year. I liked this more than I eve thought I would. The story of a Yeti and his discovery of the mythological “small foot”/human. #4. Ralph Breaks the Internet. A fun sequel to a surprise hit, this time Ralph takes his act into the Internet and shows how funny the place can be. #3. Incredibles 2. Another great sequel that follows right up from the original from 14 years ago. Jack-Jack vs. the Raccoon is one of the best scenes of the year. #2. 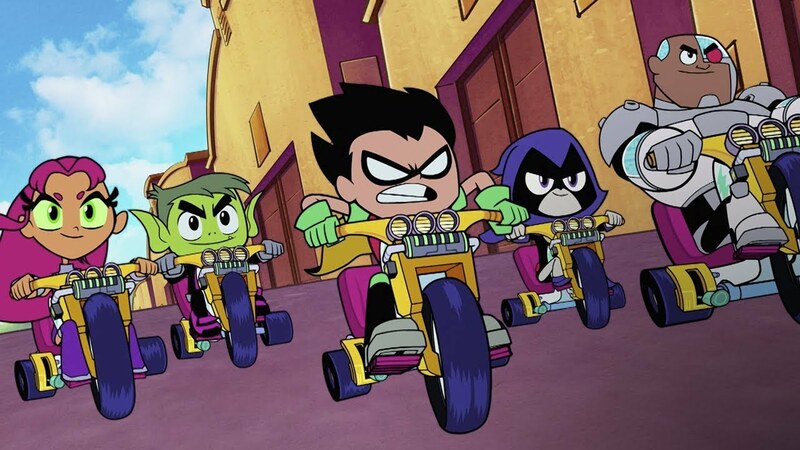 Teen Titans Go to the Movies. No way this is number two! But here it is. So much fun, really full of great humor, and cameos everywhere! Teen Titans GO! #1. 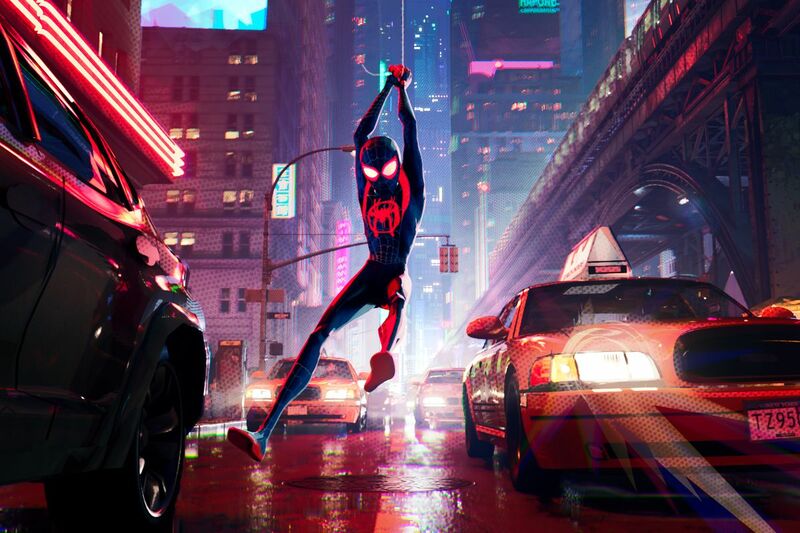 Spider-man: Into the Spider-verse. One of the best movies of the year, not just animated movies. Many people are calling this the best Spider-man movie ever and that is possibly true. An amazing story, full of heart and laughs, and the most risk-taking animation I have seen in years. #2. Hotel Transylvania 3. I have never enjoyed this series of films and this was every bit as bad as the others. #1. 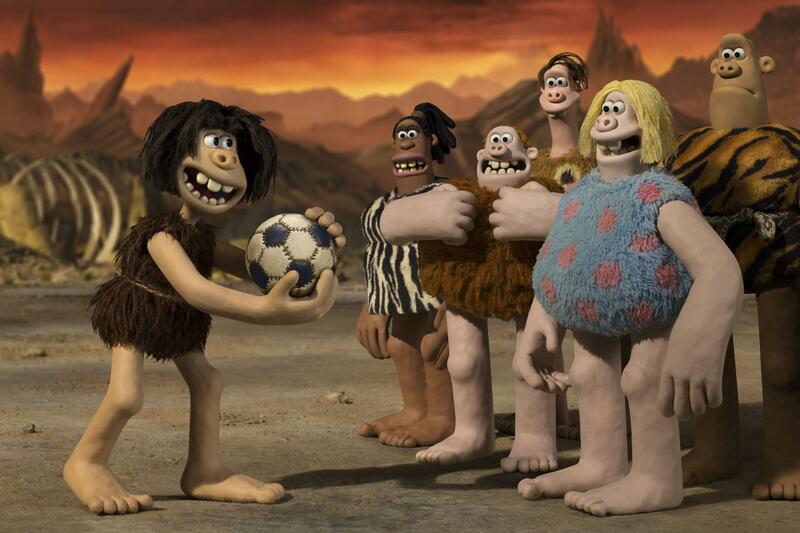 Early Man. I so hated this. I hated it within the first five minutes and I regretted coming to it. It is most likely in my top 5 (for sure in top 10) worst films of the year, not just animated. It was so stupid that I felt stupider after watching it.